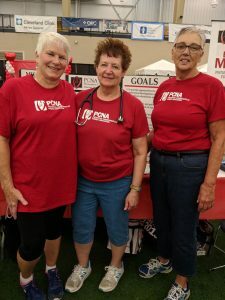 The Northeast Ohio Chapter of the Preventive Cardiovascular Nursing Association serves the Akron, Cleveland area and surrounding suburbs. 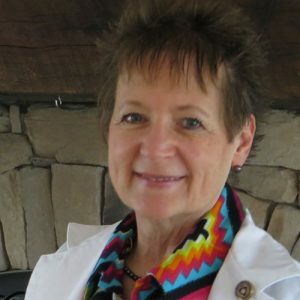 Contact Marsha to learn more about getting involved with the Northeast Ohio Chapter. The Northeast Ohio Chapter was started in 2001 by Emma Groethe and Rebecca Angerstein. Members consist of registered nurses, nurse practitioners, clinical nurse specialists, nurses in family care, primary care and cardiac rehab as well as exercise physiologists and cardiovascular disease researchers. Membership is open to all nurses and health care professionals who manage cardiovascular disease risk and who are committed to forwarding the care of patients in cardiovascular health. The goals of the Northeast Ohio Chapter are to continue to provide excellent educational seminars, to serve as a source of leadership and support for cardiovascular patients and care providers, and to engage in community activities that promote cardiovascular health. This chapter has developed several educational events with help from local expert practitioners including topics such as exercise, diet, electrophysiology testing, pacemakers, and defibrillators. 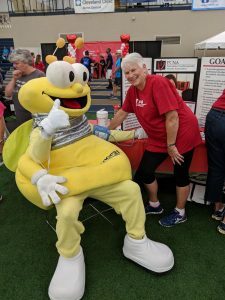 Recently they have established a collaborative partnership with the local American Heart Association chapter to combine resources for educational programs and community involvement.